You can then print or export this lines without the picture. You can export as DXF, EMF, SVG (vector data) or as picture (JPG. BMP etc.). 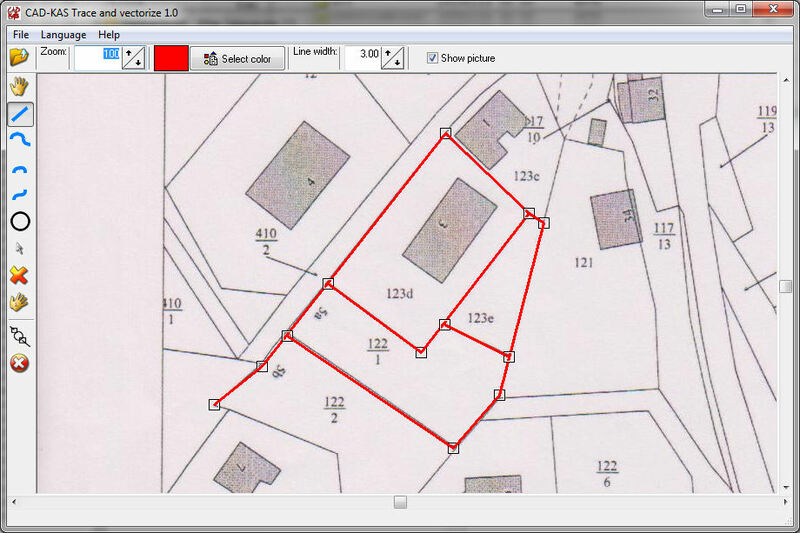 You can use the program for example to trace a graphic to include it into a presentation or you can scan a plan to edit the lines. This program is your solution. The program supports quadratic Bézier curves and cubic Bézier curves so that you can lay the curves smooth around the contours. You can edit the knots and the control points of the curves until the curve matches your ideas. You can use the program to scan a picture or you can select a picture from hard disk. 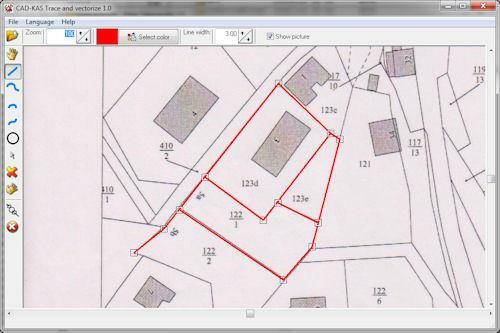 If you want to recognize lines in pictures automatically you can use our program Paper/Picture to DXF.